Raleigh, N.C. - Armed robbers stole about $4.8 million in gold bars on Sunday from an armored truck traveling north along Interstate 95 from Florida to Massachusetts, authorities said Monday. The two security guards working for Transvalue Inc. of Miami reported pulling off to the side of the interstate about 6:30 p.m. Sunday after their armored truck began having mechanical problems in Wilson County, the sheriff’s office said. They were then approached by three armed men driving a white van who ordered the guards to lie on the ground, tied their hands behind their backs and then marched them into nearby woods. The robbers then unloaded barrels filled with gold and made their getaway, according to a statement. Transvalue said the stolen gold bars weigh a total of about 275 pounds. The office of Wilson County Sheriff Calvin Woodard, Jr., did not respond to messages seeking additional information. No detailed description of the suspects or their vehicle was released. Shelley Lynch, spokeswoman for the Federal Bureau of Investigation’s Charlotte field office, said agents are assisting the local sheriff and are working to determine whether a federal crime has been committed. In a statement, Transvalue chief executive officer Jay Rodriguez said the gold bars were headed to Attleboro, Massachusetts, a town south of Boston nicknamed “Jewelry City” for the large number of manufacturers based there. The truck carrying the loot had left Miami about 4 a.m. Sunday. The company is offering a $50,000 reward for information leading to an arrest. 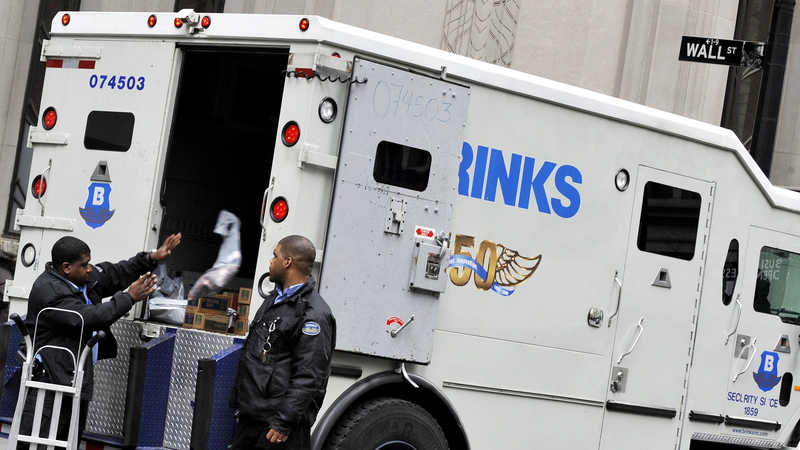 According to its website, Transvalue specializes in transporting cash, precious metals, gems and jewelry in armored trucks. The company says its shipments are insured for up to $100 million. waiting for the BP 5-0's, "inside job"
They pulled off the road for mechanical problems and pops up a group of armed bandits who steal the gold, gimme a break. Call in Andy Griffith, Sherrif of near-by Mayberry. Why send only 2 guards? And 2 guards didn't put up a fight against just 3 guards?